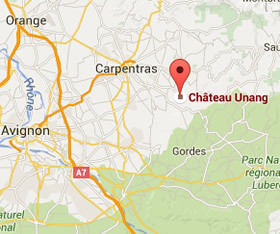 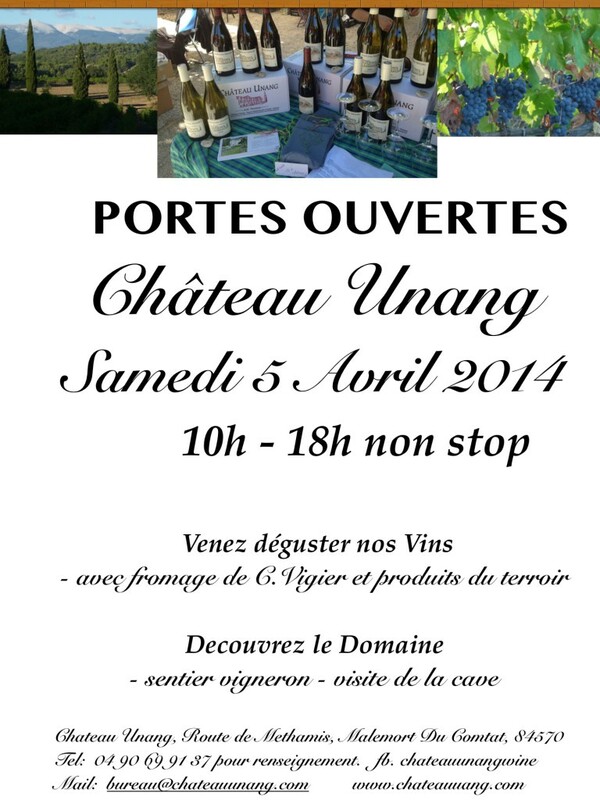 This Saturday the cave is open all day to everyone who would like to visit the domaine of Chateau Unang. 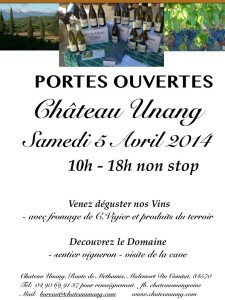 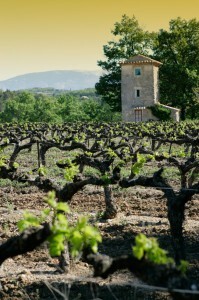 A great opportunity to discover or rediscover our wines. Taste them paired with their perfect cheese partner. 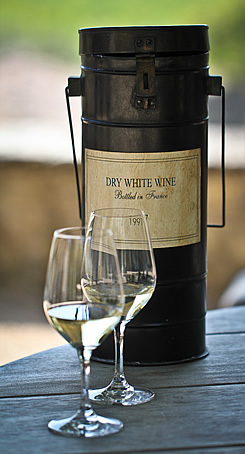 (cuveé Adeline with Beaufort becomes a rich nutty sensation!). 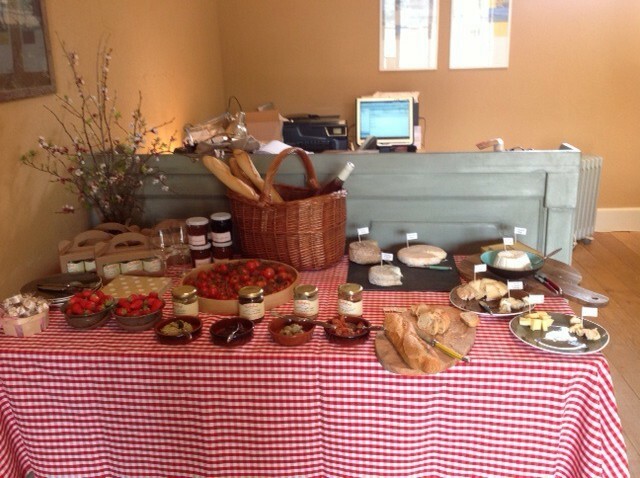 Taste the local products that make up our picnics – olives, caviar d’aubergine, quince chutney, strawberries from Carpentras (already in season!). 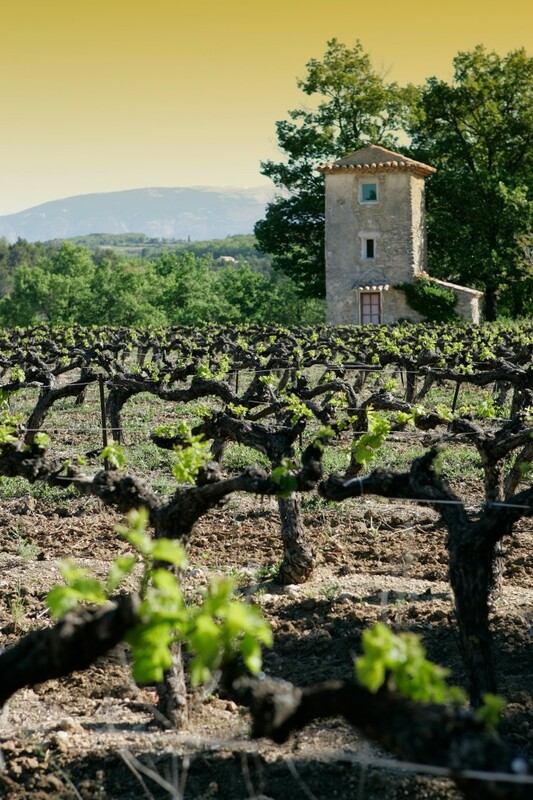 Walk the Sentier Vigneron, to spot the first buds on the vines, the elusive wild orchids and the iridescent Bee Eater birds who have also just arrived.